Not everyone who visits the spirit world stays there. The Magnificent World of Spirits: Eyewitness Accounts of Where We Go When We Die, gives fascinating glimpses of life beyond the veil by people who visited the spirit world during the early years of the LDS Church. Filled with stories of insight and inspiration, The Magnificent World of Spirits is a stirring book that combines documented personal experiences with scripture, commentary, and quotes from latter-day prophets and other leaders. This book will bring you peace as you come to understand what awaits on the other side of the veil. After reading this book, you will never think of life—or death—in the same way. 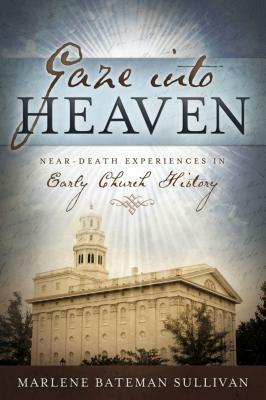 Gaze Into Heaven: Near-Death Experiences in Early Church History is a carefully compiled collection of more than 50 near-death experiences that occurred during the early years of the Church. These documented accounts give fascinating glimpses into the Spirit World by those who have actually been there. Most of us have wondered exactly what will happen when we die. What does the Spirit World look like? Will we see departed family members and friends? What do people do there? Do spirits there know what is happening on earth? All of these questions and many more are answered in Gaze Into Heaven. I was born in Salt Lake City, Utah and grew up in Sandy, Utah. After attending Dixie College and Utah State University, I graduated from the University of Utah with a Bachelor’s degree in English. I married Kelly R. Sullivan and have seven children. My hobbies are gardening, camping, and reading. Writing has always been a great love of mine. I started writing stories in elementary school and was blessed with a teacher in junior high school that encouraged me, so I kept on writing. My dream of writing was put aside for a time when I married and had children, which kept me very busy. I did manage to carve out a little time though, and wrote magazine and newspaper articles. I honed my craft over the years and have been published in quite a number of magazines and newspapers. I opened my own floral shop at my home–renovating my garage, in order to help support my family. After nine years, a health scare convinced me to sell my shop so I could pursue my dream of writing full time–thanks to a husband who was willing to support us all. I began by writing non-fiction books. I loved doing research and digging for interesting stories. I belong to The Church of Jesus Christ of Latter-day Saints and have concentrated on writing for members of that church. I write clean, inspirational books that testify that God loves us and is always there for us. Purchase The Magnificent World of Spirits and Gaze Into Heaven.